This is an AUv3 compatible stereo reverb which can be used as a plugin with your favourite DAW such as Cubasis, Meteor, GarageBand or Auria. This digital stereo reverb comes equipped with low and high pass filtering as well as independent damping. 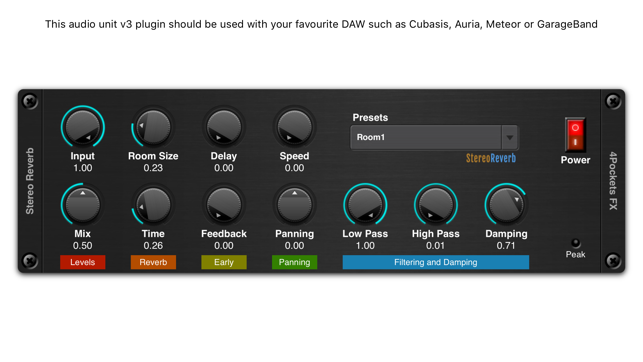 You also have control over stereo panning of reverb trails with an optional audio pan feature. This is quite a versatile effect that improves upon many of the default effects that ship with most DAW's. I love the sound of this. Warm and rich. 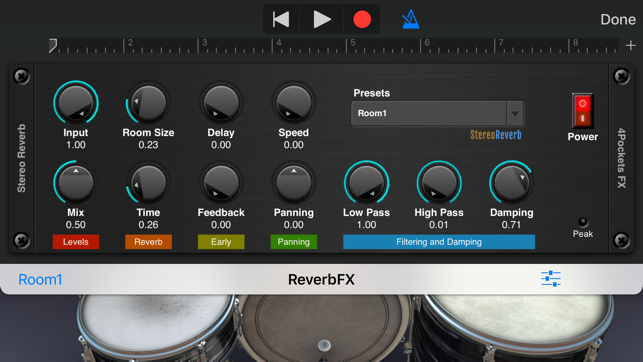 One of the best iOS reverbs IMHO!